Windows Azure is a worldwide used cloud operation system developed by Microsoft Corporation and intended to develop the modern cloud applications of any size and complexity, to realize the integration and data sharing, to run the .NET applications and store the data not on the users’ computers, but at the computing clouds. It is a part of Windows Azure Platform, which groups the Windows Azure, SQL Azure, and Windows Azure Platform AppFabric cloud technologies and services for software development. 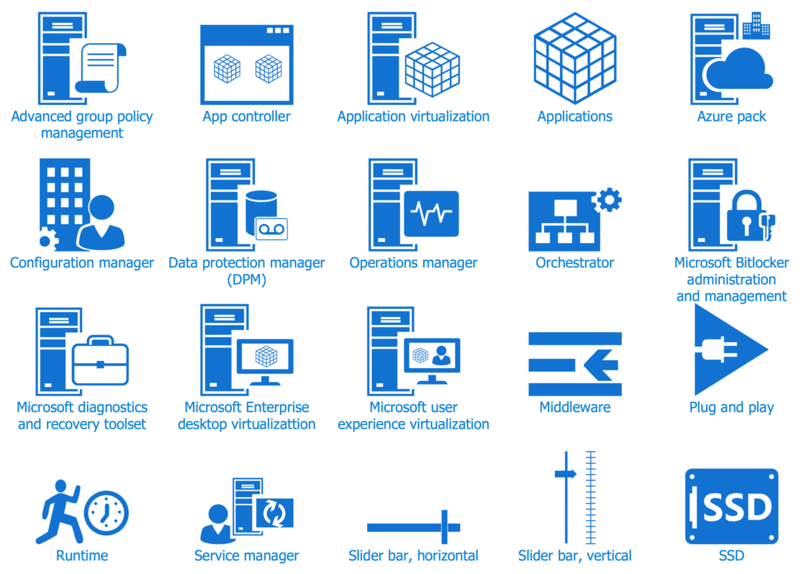 The open and flexible Windows Azure operating system offers a full scope of cloud services under one platform, supports wide set of programming languages, operating systems, tools, frameworks, devices and databases. Among a lot of other benefits and features, it provides extensive infrastructure and huge set of solutions and integrated Azure services that are effective in applications development, deployment, storage, backup, recovery, working with databases, computing, networking, analytics, etc. Besides, one of the main advantages of this global platform is its great productivity at the lowest cost and slight complexity, the ensuring of effective protection and privacy of data. The Azure Architecture solution from the ConceptDraw Solution Park bundles into one handy tool everything you need to create effective Azure Architecture diagrams. It adds the extra value to versatile ConceptDraw DIAGRAM software and extends the users capabilities with comprehensive collection of Microsoft Azure themed graphics, logos and preset templates to help you get started with your diagram. 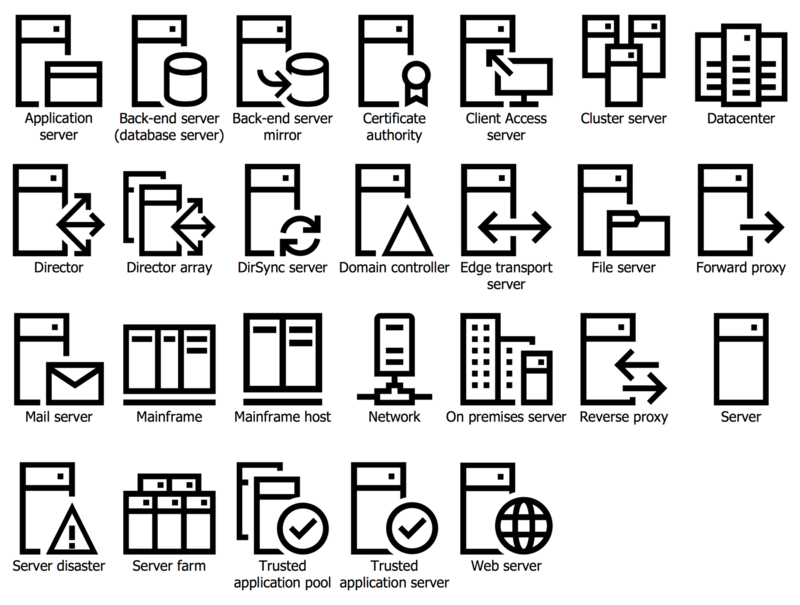 A wide array of predesigned vector symbols covers the subjects such as Azure management, Azure storage, and Azure services, amongst others, and allow you to illustrate Azure Architecture diagrams at any degree of complexity, to present visually your Azure cloud system architecture with professional style, to design Azure cloud topology, to document Windows Azure Architecture and Azure Cloud System Architecture, to visualize the great abilities and work of Microsoft Azure Cloud System and Azure services. 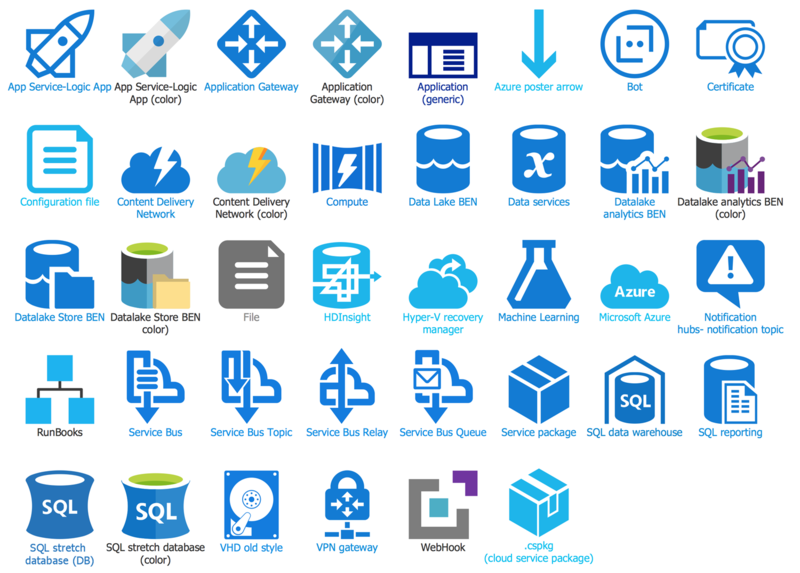 There are 18 libraries containing 739 objects in the Azure Architecture solution. 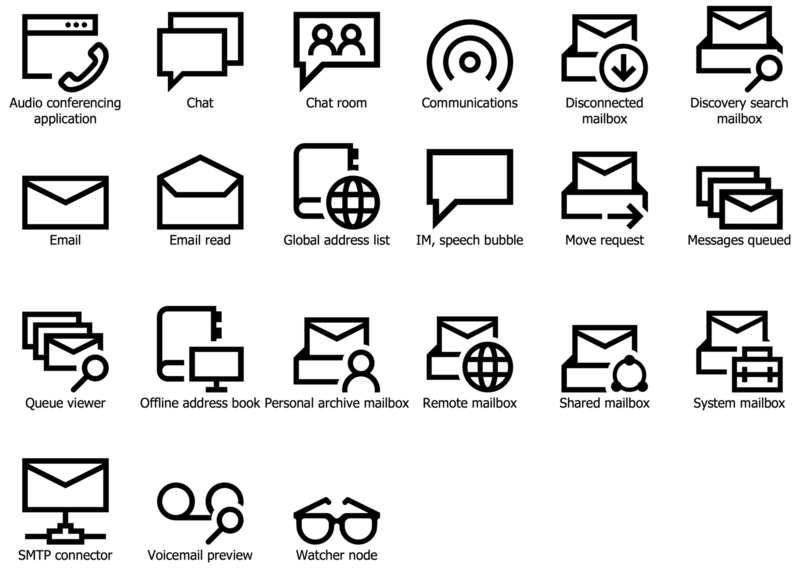 There are a few samples that you see on this page which were created in the ConceptDraw DIAGRAM application by using the Azure Architecture solution. Some of the solution's capabilities as well as the professional results which you can achieve are all demonstrated here on this page. All source documents are vector graphic documents which are always available for modifying, reviewing and/or converting to many different formats, such as MS PowerPoint, PDF file, MS Visio, and many other graphic ones from the ConceptDraw Solution Park or ConceptDraw STORE. The Azure Architecture solution is available to all ConceptDraw DIAGRAM users to get installed and used while working in the ConceptDraw DIAGRAM diagramming and drawing software. This diagram was created in ConceptDraw DIAGRAM using the combination of libraries from the Azure Architecture solution. An experienced user spent 15 minutes creating this sample. The push notifications are widespread on mobile devices, for Windows are first introduced at Win 8. They are the best at the cases of orientation on specific users with personalized content. From the cloud to your Windows Store applications the notifications can be sent with help of Windows Push Notification Services (WNS), even at the case when your application is not running at the moment. This sample shows the overall overview of the push notifications lifecycle via Windows Azure Notification Service (WNS). The offered diagram is an example of the sort of process you can set up using the Microsoft Azure platform and Windows Azure Mobile Services, the main goal of which is to make easier for developers the process of adding the cloud backend to the client applications under Windows 8, Windows Phone, iOS and Android. The diagram shows the relationship between Azure cloud and Windows 8 application, each of three steps is clearly annotated: Request Channel URL, Register With your Cloud Service, Authenticate and Push Notification. This diagram was created in ConceptDraw DIAGRAM using the combination of libraries from the Azure Architecture solution. An experienced user spent 10 minutes creating this sample. At the use of powerful ConceptDraw DIAGRAM means you can create simple and effective diagrams in a matter of moments. 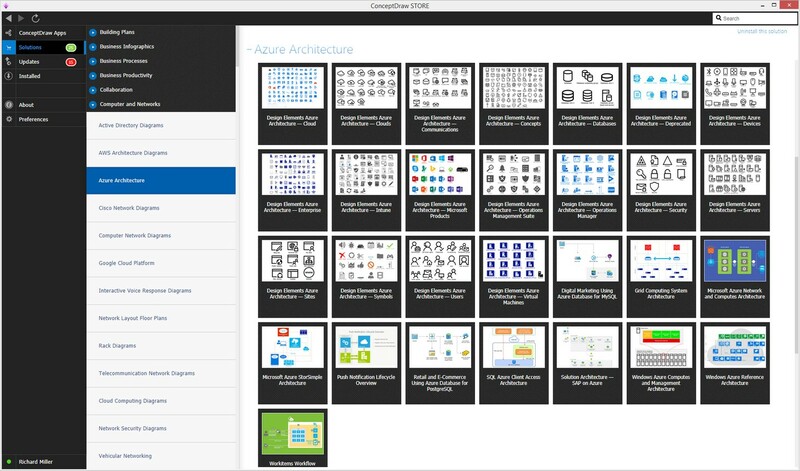 All icons at the Azure Architecture solution libraries are scalable and professionally drawn. This diagram illustrates the architecture of the grid computing system, which connects many personal computers via the Internet with using the inter-process network communication (IPC). 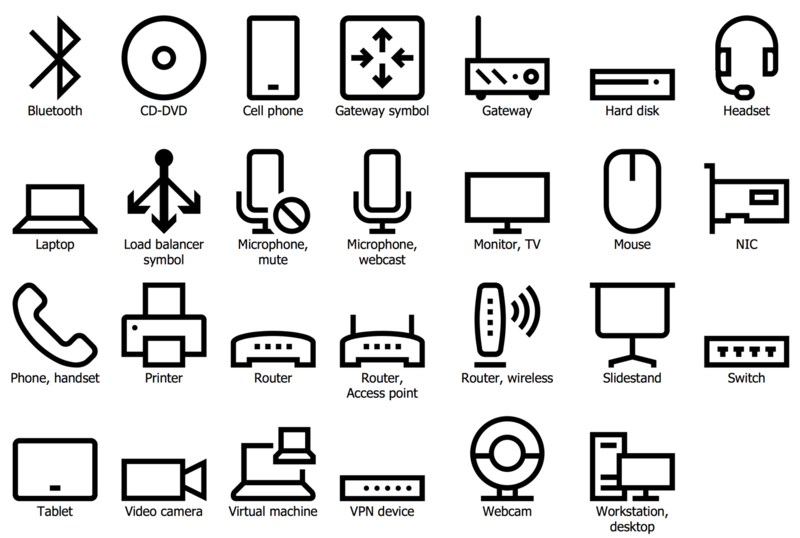 Such type of communications as the IPC is an activity of exchanging the data between multiple and commonly specialized processes with using the communication protocols. In applications that use the IPC the clients make requests of data and the server responds to these requests. The grid computing is the set of computer resources from the different locations, which strive to achieve a common goal, at this all grid computers are used to perform different tasks or applications. The grid can be considered as a distributed system with non-interactive workloads, which include large quantity of files. Windows Azure cloud computing platform and infrastructure is effectively used for development, deployment and management varied services and applications across the global network of datacenters that are managed by Microsoft Corporation. This diagram sample illustrates the Microsoft Azure Network, Azure services for computing and computes architecture, depicts how the data are transferred and stored. It is a simple process to create with help of ConceptDraw DIAGRAM software and its extensive drawing tools any effective and clear illustrations, which can be easily understood by all stakeholders. The clarity of narration the information, as well the brightness are the distinctive characteristics of this illustration. When creating Azure Architecture diagrams do not forget about such important component as a visual perception, with help of color any diagram can be vivified, the color is able to make it interesting for all and everyone, it helps to highlight the key points and to set the accents. The ConceptDraw Solution Park amazes us with amount of multifarious solutions for solving different types of tasks. 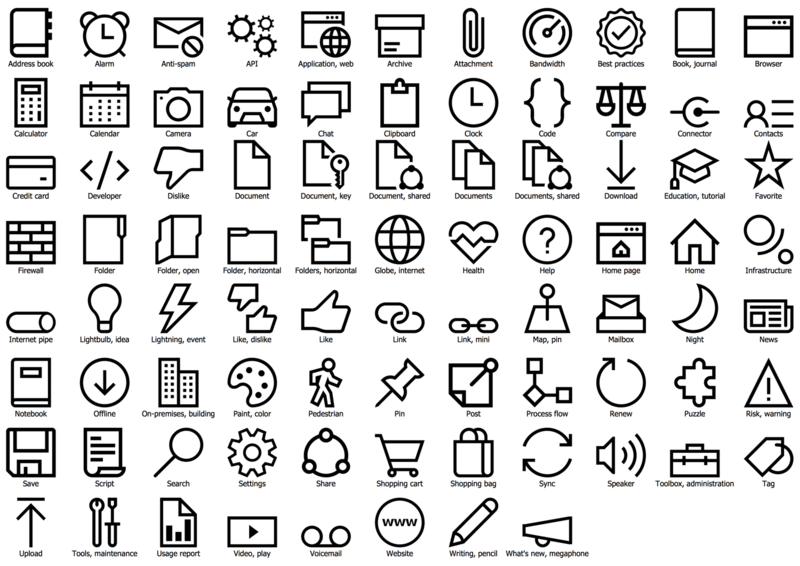 Once again the ConceptDraw Solution Park provides a solution with a rich selection of ready-to-use vector stencil symbols, pictograms and other design elements, which allow you to furnish your diagrams with professional symbols relating to Azure services and Azure Architecture. This Cloud computing system architecture diagram depicts the architectural overview of developer and infrastructure services that are currently available in Windows Azure. This reference architecture is represented in a layered form, division on four layers (Client Layer, Integration Layer, Application Layer, Data Layer) is quite visual, especially at the use of different colors. Based on the picture from the "Windows Azure Solution Cookbook" post published at the Clint Edmonson's blog on notsotrivial.net website, this sample was designed in seconds with powerful drawing tools of ConceptDraw DIAGRAM diagramming software and Azure Architecture solution. This diagram was created in ConceptDraw DIAGRAM using the combination of libraries from the Azure Architecture solution. An experienced user spent 20 minutes creating this sample. The Microsoft Azure Cloud platform allows the users to set up multiple instances of virtual machines. The understanding their relationships and access states can be confusing - luckily the Azure Architecture solution provides you with tools and templates you need to make the job a breeze. This diagram example demonstrates the workflow of distribution the workitems to pooled VMs, shows how to submit an application to pool, where it is then distributed for processing using the Batch API. The represented workflow includes six steps: uploading of input files required for working with Azure storage account; uploading of dependent binary files to the storage account; creation of a Batch pool of virtual machines that will execute your tasks, specifying their size, the OS they run, and other parameters; creation of a workitem that enables to manage a job of tasks; adding the tasks to the job; running the application and monitoring the output results. Microsoft Azure StorSimple is a feature developed by Microsoft Corporation for Azure platform, which lets to extend the local StorSimple storage of an enterprise with Azure. In other words, the Microsoft Azure StorSimple is an integrated storage solution that manages the tasks of storage on the local devices and in Microsoft Azure cloud storage. The easily manageable Microsoft Azure StorSimple solution helps effectively exclude a lot of problems and costs that are associated with enterprise storage and data protection, and lets IT departments to guarantee their users the ability to store the large amounts of information in a very short time. This System architecture diagram was made on the base of picture from the Microsoft Azure website attached to the "What is StorSimple?" article of Sharon Smith. It illustrates in details the work of Microsoft Azure StorSimple solution, the involved devices and the processes that take place at this. 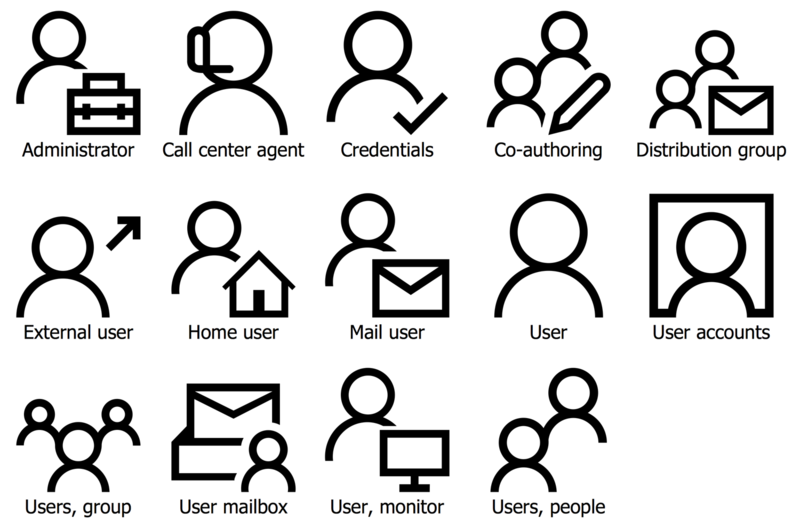 This sample visual diagram represents the Competing Consumers Pattern that was created on the base of figure offered at MSDN website. 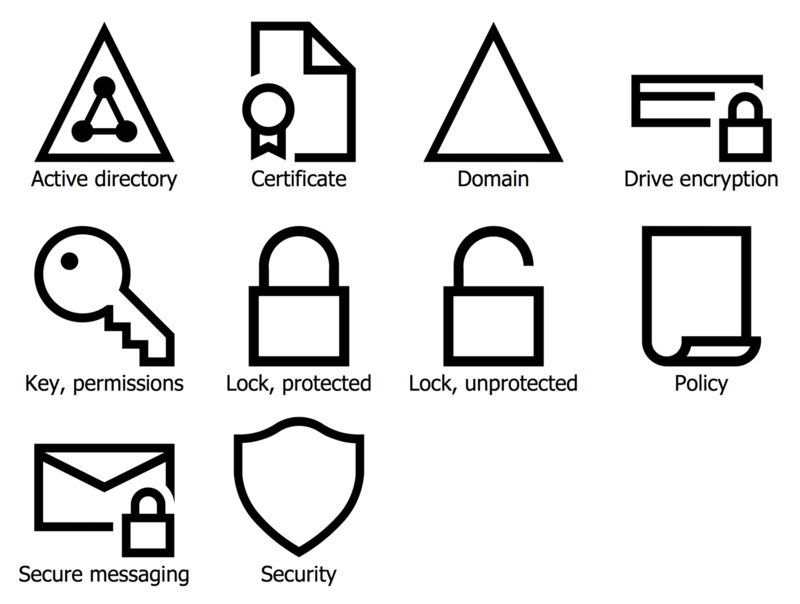 In its designing were used not many elements, the range of vector design symbols available at the libraries of Azure Architecture solution is a lot more, it significantly extends your opportunities and abilities in drawing both complex and simple diagrams. The applications that run in a cloud can process the requests, which come in a form of messages. For realization the communication channel between the application and the instances of the consumer service is used a message queue, the consumer service instances receive the messages from the queue and process them. This sample illustrates how useful is the possibility to process synchronously multiple messages that are received on the same messaging channel, this allows the system to optimize the throughput, to enhance the availability and scalability, as well as to distribute the workload. This sample was designed to demonstrate the External Configuration Store Pattern that is one of numerous patterns offered by Microsoft Developer Network (MSDN) website. The application runtime environment usually contains the configuration information. It is effective way to store the configuration information in external storage, which can be of different types depending on the hosting and runtime environment of application. At this, it is needed to ensure the interface convenient for quick and efficient reading and updating the configuration settings. As for the cloud system, it is usually used a cloud-based storage service, but also may be used a hosted database or other system. This template provides opportunities for simplifying the management and control the configuration of data, for exchanging the configuration of data through the applications and application instances. The external configuration store is the main element on this diagram. Besides, this pattern is also incredibly useful for managing multiple applications. This Health Endpoint Monitoring pattern is based on the official data from the Microsoft Developer Network (MSDN) website and can serve in its turn the good base for designing other professional looking Azure cloud architecture diagrams and infographics. The monitoring of web applications availability and the correctness of their performance is in many cases one of the main business requirements, at this the monitoring of on-premises services is more easiest task than services running in a cloud. The endpoints allow to monitor the application and to interact with it. This pattern helps in verification the correctness of work of applications and services, and illustrates the scheme of implementation the health monitoring by sending requests to the endpoint on the application. After making the necessary checks, the application returns an indication of its status. Besides, the health monitoring includes also analysis of results by the framework or monitoring tool that executes the health verification check. The Azure Architecture template is an example of a pattern representing the Scheduler, Agent and Supervisor logical components, which manage the steps of work to be executed as a part of overall process or task. The Scheduler organizes and runs the steps from which consists the overall task that will be performed, also maintains the status (started, completed) of each step in the State Store. The Agent accesses to the Remote service or Remote resource and obligatory includes the error handling and retry logic. The Supervisor is responsible for monitoring and for updating the statuses of the steps at the State Store, the failed steps must to be reattempted by the Scheduler. This Azure Architecture template is quite simple, but you can always expand it and update with additional information, comments and also with data, because in a real implementation you can have many instances of the Scheduler running simultaneously. In applications, which use the cloud-hosted storage systems or queues is useful and commonly applied the restriction of access with help of key or token, usually referred to as a valet key. This way lets to maximize the scalability and performance, to offload the data transfer operations and to minimize the cost. The key or token lets effectively solve the problem of control the access to the data stores, is used for restriction the access to specific resources, files or services and needs to be validated before opening the access. This Azure cloud architecture pattern demonstrates a work with a key token, the step-by-step process of key obtaining and applying, which includes the user's request, its checking for validity, the generation of a key token, its return for user and in result the getting of access to target resource. The colorful and vivid diagrams are always in a winning position at the presentations and reports. Both ConceptDraw DIAGRAM diagramming and drawing software and the Azure Architecture solution can help creating the Windows Azure network and computes architecture you need. The Azure Architecture solution can be found in the Computer and Networks area of ConceptDraw STORE application that can be downloaded from this site. Make sure that both ConceptDraw DIAGRAM and ConceptDraw STORE applications are installed on your computer before you get started. After ConceptDraw STORE and ConceptDraw DIAGRAM are downloaded and installed, you can install the Azure Architecture solution from the ConceptDraw STORE. Since becoming widely available to the masses, the Internet has inspired, driven, or been responsible for a huge variety of new computing technologies and applications over the past few decades. Some are fads that come and go, and start-up company boom and bust stories are common in Silicon Valley. There is at least one certainty however — the Internet and its usage is expanding, and with this expansion comes ever increasing amounts of data that needs to be stored securely, methodically analyzed, and remotely accessed. The solution created has come to be known as cloud computing. Cloud computing is a method of storing data and web-based infrastructure on remote servers, generally as a paid subscription service. It is a convenient way for businesses to store and manage all company data within one instantly accessible medium, as opposed to purchasing, running, and maintaining private servers on-site. As data demands have grown, a diverse selection of cloud platforms have been created, often dedicated to a specific demand. Microsoft Azure is one of the oldest, and most widely used cloud platforms, and does not focus on any one single aspect, instead offering a full range of cloud services under one platform. The integrated services offered by Microsoft Azure are wide-ranging, and include the infrastructure needed for computing, storage, analytics, databases, networking, and application development and deployment. If a business hosts its web apps on Azure servers, it can be accessed at any time, anywhere in the world, by customers and stakeholders alike. The aim is to lesser the distance between the IT department and the rest of the business, provide a global platform for integration and data sharing, and reduce IT overheads. 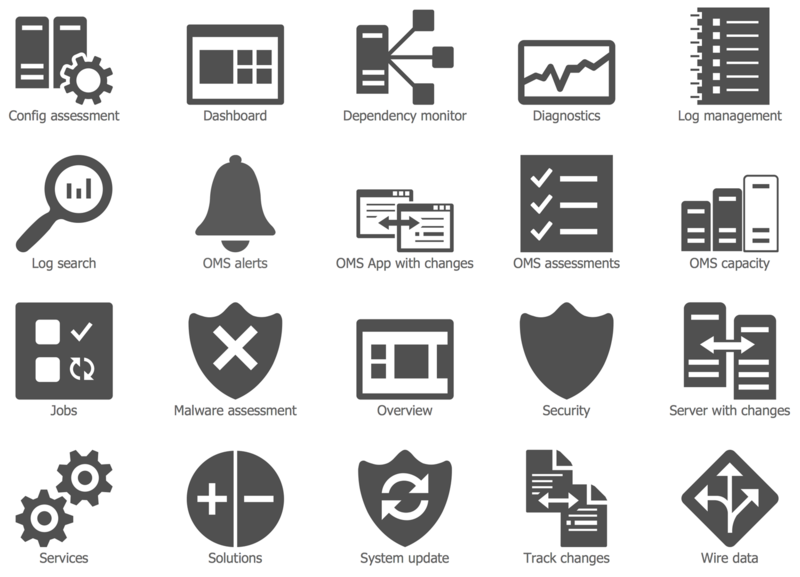 Here's a detailed look at how Microsoft Azure accomplishes this, and the products it offers. Infrastructure-as-a-service (IaaS) and platform-as-a-service (PaaS) are both offered by Azure. Iaas allows you to create and run unmanaged Windows or Linux based virtual machines on the cloud, while PaaS covers managed services such as website and application hosting. Using the Azure platform gives you access to high performance computing (HPC) and Azure Batch, a service that regulates, schedules and optimizes computer resources. Large parallel and batch compute jobs can be run entirely on the cloud, or a company can extend its HPC cluster on to the platform if more capacity is needed. Data storage is a fundamental aspect of the cloud platform, and Azure is comprehensive in this regard, providing scalable, durable cloud storage, backup, and recovery solutions. By working with your pre-existing infrastructure, Azure supports your business continuity strategy, and allows you to store app data such as unstructured text, or binary data like images, video or audio. Azure offer two main services for analyzing and understanding your data — managed SQL and NoSQL data services, and HDInsight, that allows you to create and analyze Hadoop clusters. 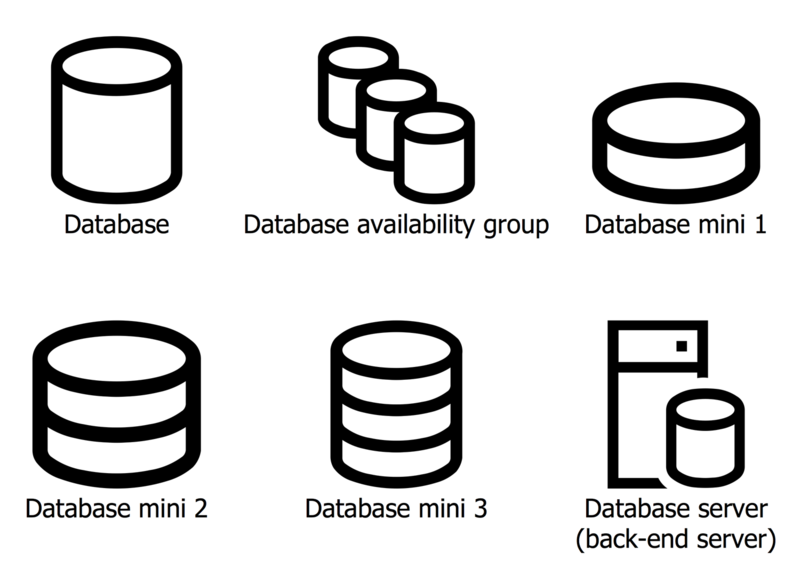 SQL Database — a relational database-as-a-service. Hadoop is powerful software that can store and analyze incredibly large amounts of seemingly unorganized, unconsolidated data from a variety of sources. Azure's HDInsight service utilizes this software on the cloud, helping to reduce up-front costs and lower the burden on resources. 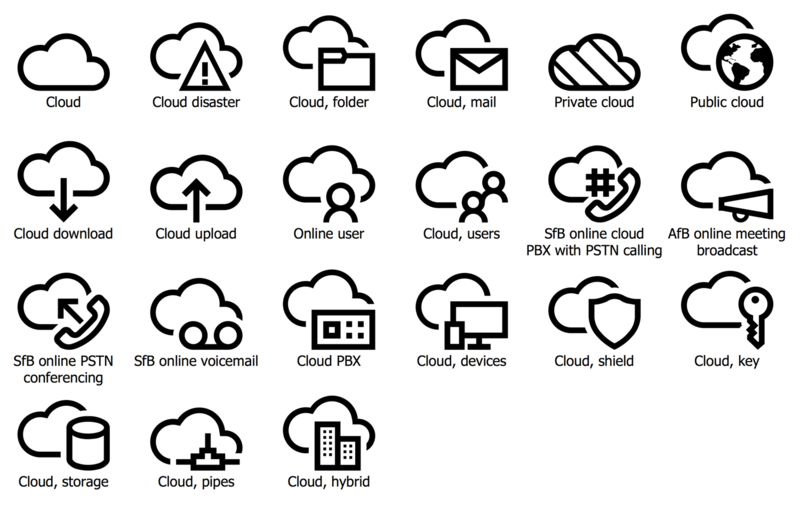 Virtual networking through Azure allows you to create your own private network of virtual machines, or as a hybrid infrastructure that connects with databases stored within the on-site premises of a business. Microsoft Azure features a full-functioned and dynamic App Service, that assists the user in creating and deploying web, mobile, media, or line-of-business solutions. Apps can be made for iOS, Windows and Android systems, while the built-in AutoScale feature allows you to scale them up or down according to business demand. The Azure App Service allows developers to build standards-based web and mobile apps and APIs using .NET, NodeJS, PHP, Python and Java, and make them available to both employees and customers from a single back-end. In conjunction with the app service, there also exists Azure Media Service, which acts as a platform to control the distribution of video media. Social integration is available through Facebook, Twitter etc. Windows Azure Active Directory is responsible for the enterprise level identity and access management of your cloud based apps. With it, you can manage user accounts, synchronize data with on-site directories, and determine levels of access to data or front-end apps. An extra layer of security can be added called Multi-Factor Authentication, protecting your own data and apps, as well as Software-as-a-Service (SaaS) apps such as Office 365, Salesforce, and DropBox. With the Microsoft Azure cloud platform providing such an array of services, and providing the possibility to create virtual networks or web applications of any size and complexity, it is perhaps a necessity to create a visual map of the network topology found in your cloud. Cloud computing system architecture diagrams can be used to analyze current cloud infrastructures, or form the basis of a proposal for a new custom system architecture. By showing a complicated Azure cloud-based solution through a diagram, the viewer can easily identify employee or end-user, can associate them with inputs and outputs, and determine access level for all parties. It can also depict database interactions and communication between the cloud and on-site servers and directories. Any changes necessary can be made first to the diagram, analyzed, then applied to the actual cloud architecture. To match the powerful capabilities of Windows Azure, ConceptDraw has released the Azure Architecture solution for ConceptDraw DIAGRAM. 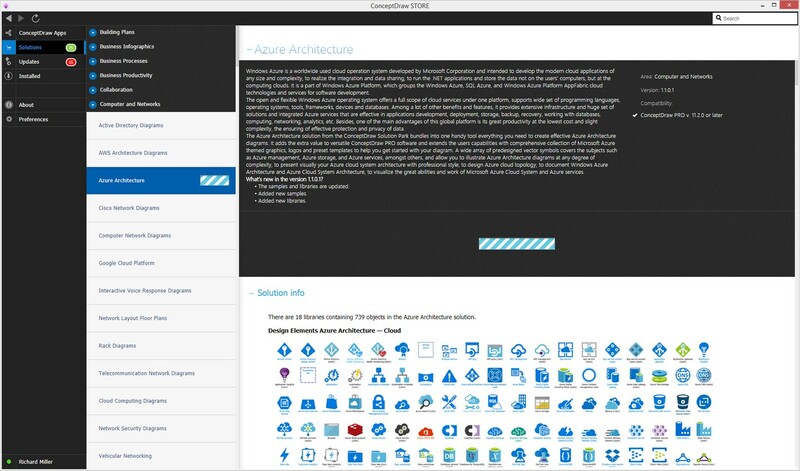 It comes complete with a wide array of Azure themed icons and symbols, contained in large vector stencil libraries, as well as a selection of templates designed to assist you when starting out to map your Azure cloud architecture. Designs of any complexity are possible, thanks to the intuitive controls of ConceptDraw DIAGRAM and wide selection of tools available from the solution. And if you are still having difficulties, ConceptDraw have a dedicated help section complete with tutorial videos to assist. Not only useful for system developers, the Azure Architecture solution is a must for anyone who needs to design Azure cloud topology, and present the results as an infographic, whitepaper, as training material, or as part of a presentation.